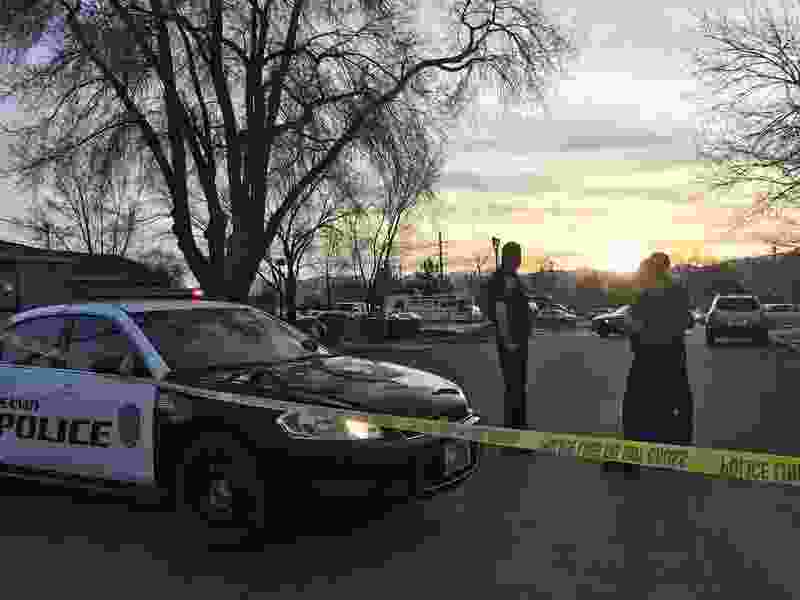 (Paighten Harkins | The Salt Lake Tribune) Sandy Police officers confer near the scene of an officer-involved shooting Tuesday, March 10, 2018, near the Historic Sandy TRAX station. Federal agents shot a 30-year-old man wanted on outstanding federal warrants. He later died. Police have identified a wanted Utah man who was shot and killed by federal agents near a TRAX station in Sandy on Tuesday night. Agents from the Bureau of Alcohol, Tobacco, Firearms and Explosives tracked 31-year-old Bryan Keith Liles to a vehicle that was across the street from the Historic Sandy station, 9000 S. 165 East in Sandy, Sandy police Lt. Dean Carriger said. Police officials have not said what sparked the 5 p.m. shooting, but Carriger confirmed that agents fired “during their contact” with Liles, who was taken to the hospital and later died. Other people were in the vehicle with Liles, but no others were injured. Vanessa Vasquez, a resident who lives a few feet from where Liles was shot, said she heard at least five gunshots. When she went outside, Vasquez said, the man was lying on the ground on his stomach, handcuffed and bloody. He wasn’t moving or speaking. “To me, he looked like he was dead,” she said. Warrants for Liles’ arrest were issued last month in connection with three felony cases in which he had pleaded guilty in state court. A probation report filed Feb. 23 alleges Liles violated his probation terms when he failed to show up for a substance abuse evaluation. An Adult Probation and Parole officer also referenced a Feb. 2 incident where Liles allegedly fled from West Valley City police officers investigating a report of a suspicious vehicle. While driving away, Liles struck one of the officers in the leg and hip with the car, according to the report. The vehicle was found abandoned, according to the report, and officers found methamphetamine and heroin inside. Police were able to locate a passenger who was in the vehicle, who told them Liles was driving. No charges have been filed in connection to that incident. Liles pleaded guilty in January 2017 in Salt Lake City to charges of possessing a dangerous weapon, drug possession and theft by receiving stolen property. The charges resulted from two incidents: A May 2016 arrest where an officer found Liles asleep at the wheel in a parking lot with drugs and a gun in the vehicle, and in October 2016 when Liles ran a car over a curb and hit a tree. He admitted he fell asleep while driving, according to charges, and the officer noted a shaved key was found in the ignition. At that time, Liles was sentenced to 220 days in jail and 36 months probation. While in the jail, Liles completed an inmate program targeted to provide substance abuse and mental health treatment to those struggling with addiction, according to court records. 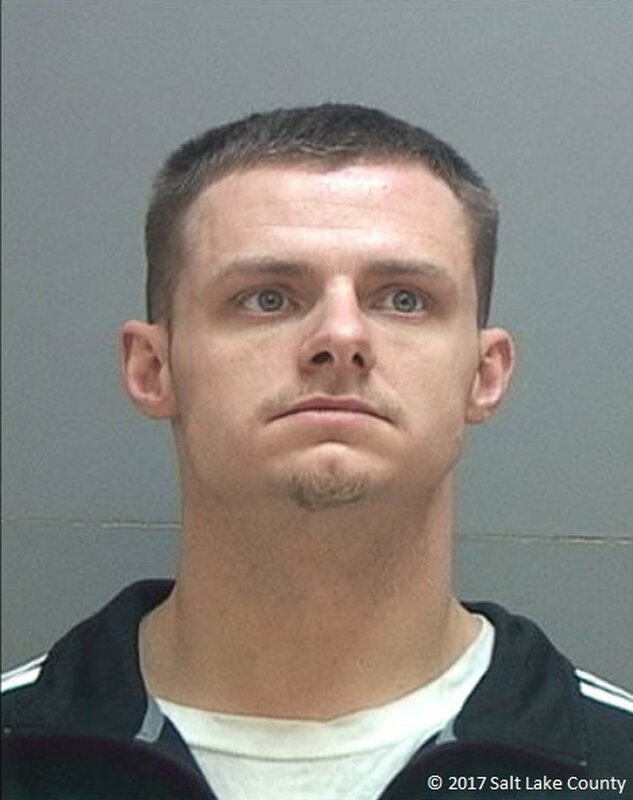 In June 2017, Liles pleaded guilty in Provo after leading police on a chase along Interstate 15 in Utah County, after officers responded to a call of a suspicious vehicle in the area. Speeds topped 115 miles per hour, according to charging documents, before Liles’ vehicle spun out in a Draper intersection and was hit by multiple police vehicles. Police determined the vehicle Liles was driving had been stolen. He was sentenced to another 30 days in jail for that incident, according to court records, and probation. Officers noted in a police report that Liles had also been convicted of 10 felonies in Washington since 2000. The Unified Police Department is conducting an investigation into Tuesday’s shooting, as per valleywide protocol that requires uninvolved agencies to handle such shootings. A spokeswoman from ATF said the agency is reviewing what happened and cooperating with the UPD investigation.